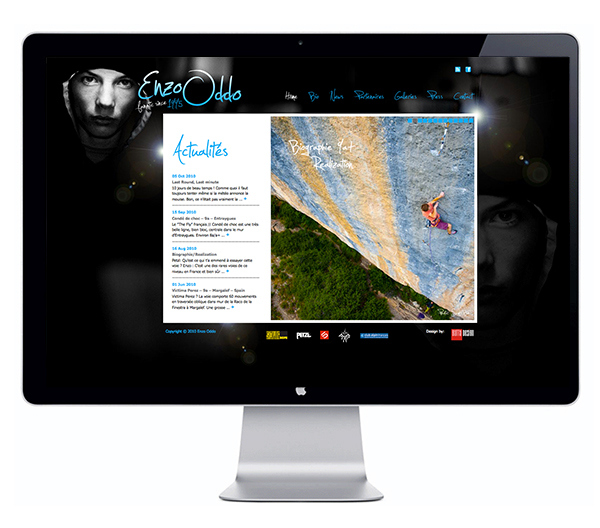 Gatta Design is proud having created the web design for the world-class climber Enzo Oddo. Enzo is one of very few reaching 9a in lead climbing and 8b in bouldering. Today Enzo is traveling the world, keeping all Fans and sponsors up-to-date with his blog through this customized, personal website.